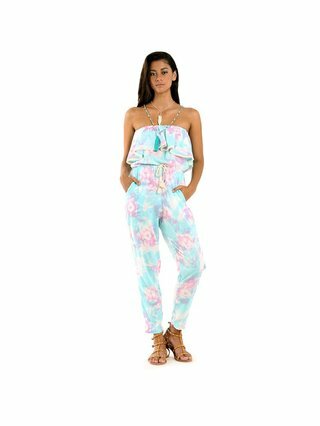 A cheeky off-the-shoulder, long-legged jumpsuit in our original vintage 1970's inspired print, made from a super soft, lightweight rayon. The tie at both bust and waist is great as it shapes the jumpsuit and slims the waistline. 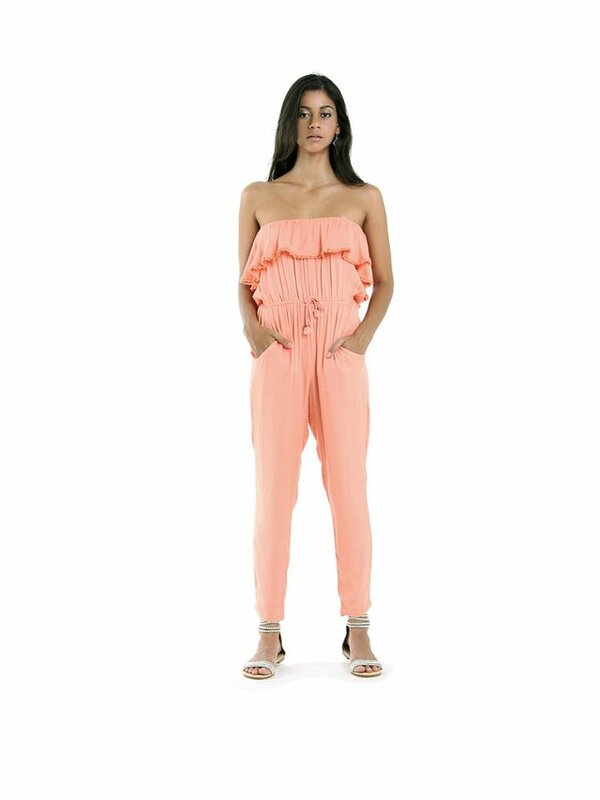 This off-the-shoulder jumpsuit will be a statement piece for the holiday season! XS 67cm / 26.4" 59cm / 23.2" 93cm / 36.6" 120.5cm / 47.4"
S 72cm / 28.3" 64cm / 25.2" 98cm / 38.6" 122cm / 48"
M 77cm / 30.3" 69cm / 27.2" 103cm / 40.6" 123.5cm / 48.6"
L 82cm / 32.3" 74cm / 29.1" 108cm / 42.5" 125cm / 49.2"
XS 67cm / 26.4" 59cm / 23.2" 93cm / 36.6" 121cm / 47.6"
M 77cm / 30.3" 69cm / 27.2" 103cm / 40.6" 124cm / 48.8"